Improve your services with automated and accurate processing of legal documents. Modernize and automate your operations to improve your legal offerings by implementing automated and accurate processing of legal documents. Processing and management of a wide variety of legal documents including: pleadings, application forms, contracts, benefit enrollment forms, correspondence and more. Handling large volumes of documents from various industries. Compliance with legal regulations and discovery requests. Fast search and access to documents whether they are local or remote. Long-term archiving of large volumes of documents. Conducting internal investigations and audits. Dealing with networks of offices in different countries. Reducing non-billable hours is critical for law firms. ABBYY can help with solutions for dealing with the many types, and large volumes, of legal documents that require processing. Enabling the fast and accurate conversion of paper- or image-based documents into editable formats, they save time, cut costs and increase productivity – enhancing case preparation and e-Discovery, too. Law firms need to handle high volumes of documents for e-Discovery. ABBYY helps by automating the conversion of documents into searchable digital files – enabling data to be easily accessed and securely stored. Its powerful server-based solution provides centralized processing of high volumes of paper or image-original documents. It delivers unmatched conversion accuracy and enables effortless creation of searchable archives and repositories. Plus, it easily integrates with major Electronic Document and Record Management (eDRM) systems. ABBYY’s accurate and audio-enabled language software solutions enable better communication with international clients and colleagues. Legal firms can realize significant cost savings by eliminating time-consuming pre-sorting and error-prone manual data entry. Now any incoming document can be instantly classified and selectively processed, extracting data for efficient batch processing saving firms time and money. Search and find pertinent information easily and quickly. Serve clients better, faster and more efficiently. Seamless integration with your existing DMS systems. Cricket Legal Technologies offers clients one-stop shopping for all of their eDiscovery technology needs. 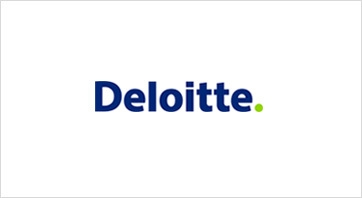 Deloitte uses the OCR server solution to make image-only files searchable for eDiscovery and legal forensic analysis. 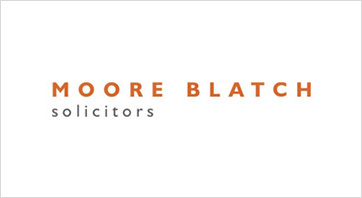 Moore Blatch enhances customer service and compliance by introducing a digital mailroom solution. Learn more about ABBYY products that power ABBYY solutions for the Legal sector. Server-based solution to automate OCR and PDF conversion of high document volumes for archiving, e-Discovery and more. All-in-one desktop software for legal professionals’ everyday work with PDFs and scans. Edit, convert, and compare documents with ease. Software Development Kit for software vendors that wish to integrate OCR and document conversion functionality into their solutions. Contact us to request more information on ABBYY solutions for the Legal sector.